The Co-Operative Group has committed to opening an additional 100 stores before the end of 2016. This year the Co-Operative Food has opened 12 new outlets in locations including London, Glasgow and Blackpool. Commenting on its rollout scheme, the grocer said it had no plans to slow down. “Our new store programme is really starting to gain momentum now,” said Head of Acquisitions and New Store Development at the Co-Op Rob Bignold. This rollout plan is part of the company’s plans to overcome its financial struggles and debt. The chain recently offloaded its remaining Somerfield stores, following the sale of the Co-Op Pharmacy, Farms and Sunwin branches in 2014. 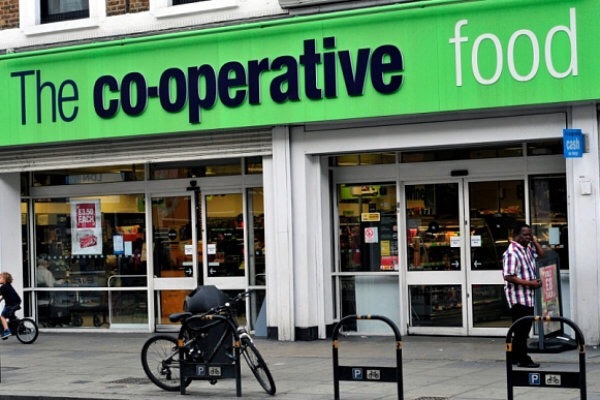 In March the Co-Operative Group revealed that annual losses had more than doubled at the Co-Operative Bank, and a number of branches are set to close. New store openings planned for this month include Inverary, St. Helens and Iver. Posted on April 5, 2016, in Other. Bookmark the permalink. Leave a comment.